On July 18, 2018, the day of the translation of the relics of Venerable Sergius, Hegumen of Radonezh, His Holiness Patriarch Kyrill of Moscow and All Russia visited Holy Trinity St. Sergius Lavra. At the Holy Gates of the monastery the Primate of the Russian Orthodox Church was met by the Acting Abbot of the Monastery and Chairman of the Synodal Department of Monasteries and Monasticism, Archbishop Theognost of Sergiev-Posad, the head of the Sergiev Posad municipal district of the Moscow region M.Yu. Tokarev, and deputy of the State Duma of the Russian Federation S.A. Pahomov. From the Holy Gates His Holiness proceeded to the Holy Trinity Cathedral, where he venerated the relics of St. Sergius of Radonezh. He then entered Dormition Cathedral of the Lavra, where His Holiness Patriarch Kirill led the Divine Liturgy. Also serving was Protopresbyter Vladimir Divakov, Secretary of the Patriarch of Moscow and All Russian for the City of Moscow, Archimandrite Pavel (Krivonogov), Dean of the Trinity-Sergius Lavra; Protopriest Maxim Kozlov, Chairman of the Education Committee of the Russian Orthodox Church; Protopriest Nikolai Balashov, Deputy Chairman of the Department for External Church Relations; Archimandrite Savva (Tutunov), Deputy Administrator of the Department of Internal Affairs of the Moscow Patriarchate; Hegumen Theophylact (Bezukladnikov), Acting Abbot of the New Jerusalem Jerusalem Stauropegic Monastery; Hegumen Peter (Eremeev), Acting Abbot of the Vysoko-Petrovsky Stavropigial Monastery; Hegumen Bartholemew (Petrov), the Acting Abbot of the Nikolo-Ugreshsky Stavropigial Monastery; and brothers of the monastery in the priestly office. Also participating were representatives of the Local Orthodox Churches: Metropolitan Niphon of Filippopol (Antiochian Orthodox Church); Bishop Antony of Moravich (Serbian Orthodox Church); Archimandrite Seraphim (Shemiatovsky) (Orthodox Church of the Czech Lands and Slovakia); Protopriest Daniel Andrejuk (Orthodox Church in America). Additional present at the Divine Services were: Assistant to the President of the Russian Federation I.E. Levitin; Plenipotentiary Representative of the President of the Russian Federation in the North-West Federal District A.D. Belgov; Plenipotentiary Representative of the President of the Russian Federation in the Central Federal District I.O. Schegolev; Governor of the Moscow Region A.Yu. Vorobyev; Head of the Administration (Governor) of the Krasnodar Territory V.I. Kondratiev; Chairman of the Committee on International Affairs of the State Duma of the Federal Assembly of the Russian Federation L.E. Slutsky; Chairman of the Committee for the Development of Civil Society, Issues of Public and Religious Associations of the State Duma of the Federal Assembly of Russia S.A. Gavrilov; Deputy Minister of Finance of the Russian Federation A.Yu. Ivanov; Head of the Federal Service for Supervision in Education and Science S.S. Kravtsov; Head of the Sergiev Posad Municipal District M.Yu. Tokarev; Head of the Administration of Sergiev Posad K.V. Niguritsa. Among the faithful at the Liturgy were the abbess of the Moscow Zachatievsky Stavropigial Monastery, the Deputy Chair of the Synodal Department for the Affairs of Convents Abbess Iuliania (Kaleda), the Abbesses of a number of convents, participants in the Orthodox Youth Forum "Dobroleto-2018", which is taking place in these days on the Blagoveshchensky Field of Sergiev Posad. The hymnography at the Liturgy was provided by the Choir of the Trinity-Sergius Lavra under the direction of Archimandrite Gleb (Kozhevnikov). A live broadcast of the Patriarchal Divine service was streamed on the “Spac” television channel. At the small entrance His Holiness Patriarch Kyrill elevated Bishop Savva of Tver and Kashin to the rank of Metropolitan in connection to this appointment as head of the Tver Metropolia (Journal 47 of the proceedings of the Holy Synod – July 14, 2018). After the Augmented Ektenia, the Primate of the Russian Orthodox Church offered [the established] prayer for peace in Ukraine. The sermon before Holy Communion was provided by Hegumen Philip (Elshin), brother of the Trinity-Sergiuis Lavra. At the conclusion of the Liturgy His Holiness Patriarch Kirill, His Beatitude Metropolitan Onuphrius, members of the Holy Synod and all the hierarchs who participated in the feast day at the Lavra, performed a moleben at the Cathedral Square before a revered icon of St. Sergius of Radonezh. Then, from the balcony of the Patriarchal Retreat, the Primate of the Russian Church addressed the hierarchs, clergy and believers with the First-Hierarchal word [sermon]. On the day of the feast, according to tradition, Divine Services were performed in all the temples of Holy Trinity Sergius Lavra and Moscow Theological Schools [Academy, Seminary, Iconography, Hymnography]. In the Holy Trinity Cathedral, the Divine Liturgy was headed by the Metropolitan of St. Petersburg and Ladoga Barasanuphrius, Administrator of the Department of Internal Affairs of the Moscow Patriarchate; in the Sergiev Refectory Church - Metropolitan Juvenaly of Krutitsa and Kolomna, Patriarchal Overseer of the Moscow [Podmoskovie] Diocese; in the Holy Spirit Temple - Metropolitan Hilarion of Volokolamsk, Chairman of the Department of External Church Relations; in the Protection Academic Church - Metropolitan Eugene of Tallinn and All Estonia; in the Church of St. John of the Ladder - Metropolitan Vincent of Tashkent and Uzbekistan, Head of the Metropolitanate of Central Asia; in the Chernigov Skete - Metropolitan Nikon of Astrakhan and Kamyzyak. On the same day, in the Throne Room of the Patriarchal Retreat of the Lavra, a discussion was held between of His Holiness Patriarch Kirill and the Governor of the Moscow Region, A.Yu. Vorobiev, who congratulated the Primate of the Russian Church on the commemoration day of St. Sergius of Radonezh. Afterwards, His Holiness awarded the Director of the Patriarchal Architectural and Restoration Center of the Holy Trinity Sergius Lavra to S.V. 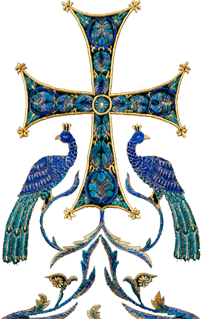 Demidov the Order of St. Seraphim of Sarov III degree – according to his attentive labors for the benefit of the Holy Church and in connection with his 70th birthday. Also in the Throne Room of the Patriarchal Retreat of the Lavra Metropolitan Sergius of Barnaul and Altai and Archimandrite Seraphim (Shemiatovsky), Rector of the Orthodox Church of the Czech Lands and Slovakia in Moscow, presented His Holiness with a gift from the Orthodox Christians of Slovakia - an icon of the Holy Royal Passion-Bearers, painted by the iconographers of the Slovak town of Stropkov (Eastern Slovakia) in preparation for the commemoration of the 100th anniversary of the martyrdom of the Royal Family. With the blessing of His Holiness Patriarch Kirill and His Beatitude Metropolitan Rostislav of the Czech Lands and Slovakia, Metropolitan Sergius of Barnaul and the Altai took part in commemorative events [of the 100th anniversary of the martyrdom of the Royal Family] in Stropkov.